While it is always best for our animals to raise their own young, at times it is necessary for keeper staff to step in and take care of baby animals. We call this “hand-rearing”. 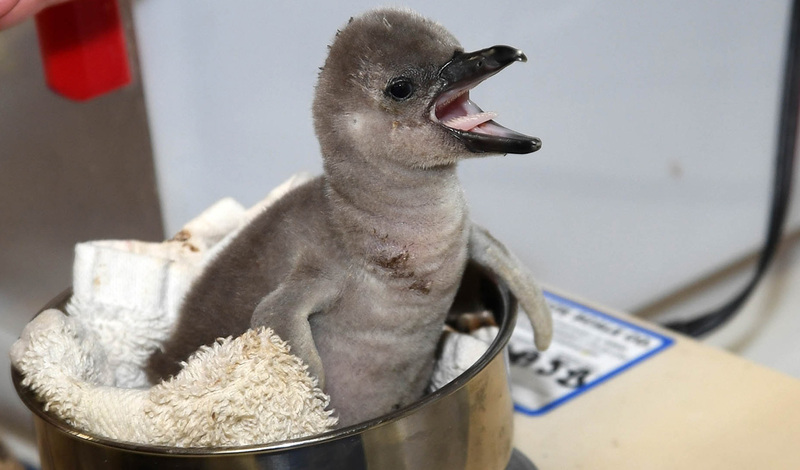 Here is how a Humboldt penguin chick is hand-reared at Brookfield Zoo. 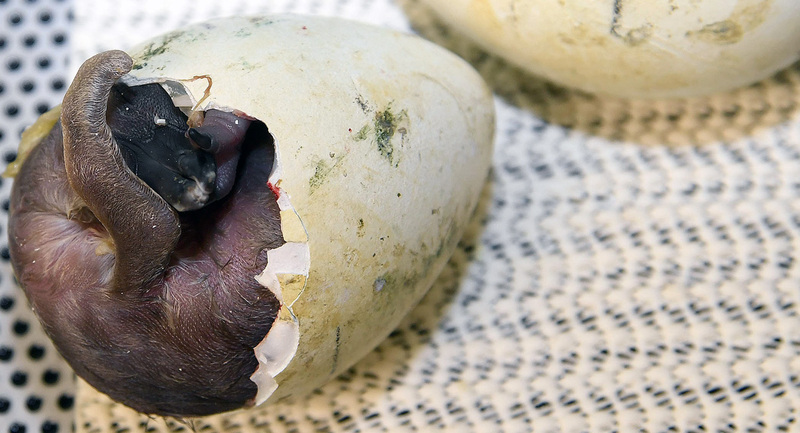 As the egg is hatching, keepers watch it very closely and mark the chick’s progress. Once the chick is out of the egg, it is examined and weighed and then transferred to a warm incubator unit and allowed to dry. All penguins regurgitate food to their young. Here at the zoo, we make a special formula that resembles what the chick would be eating from its parents. 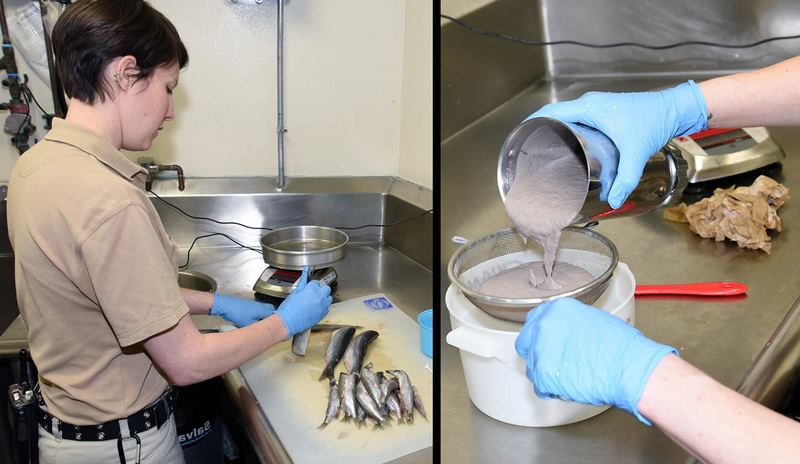 Fish, water and vitamins are blended together to make a nutritious “milkshake” type of formula. This will be warmed up and fed to the chicks using a small syringe. Penguin chicks will open their mouths and swallow quickly as the parent regurgitates fish right down their throats. This gaping and swallowing behavior is called the “feeding response”. Since keepers will be feeding with a syringe, we need to get the chick to give us the “feeding response”. We do this by making a “V” with our fingers and placing it over the chick’s mouth. This mimics what the parent bird would do with its beak just before feeding the chick. Penguin chicks grow very fast. At 10 days old, their eyes will open and they will begin to move and walk around more. They are soon able to eat whole fish. 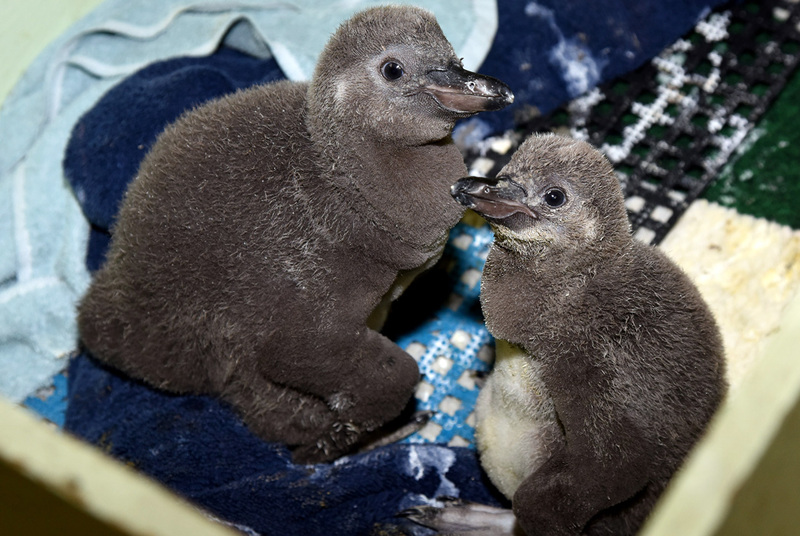 They will keep their fluffy down until they are about 3 months of age when they will begin to molt into their first set of waterproof feathers. 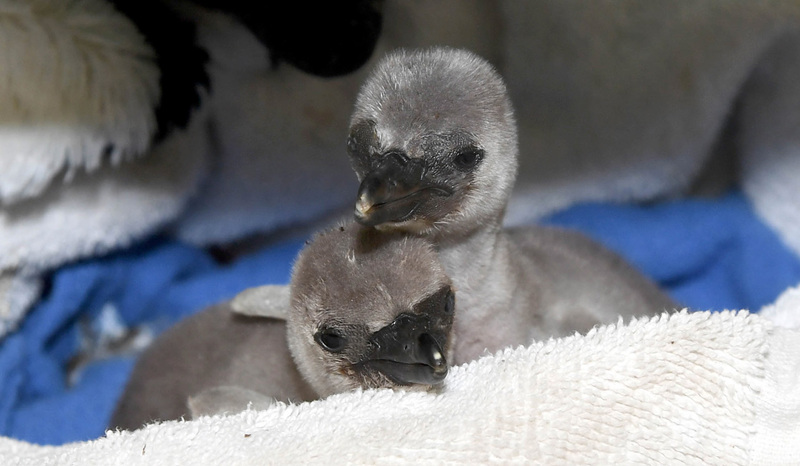 After molting, they are no longer considered chicks but juveniles and are ready to start swimming and meet the rest of the penguins here at the zoo.